Have you ever wondered how judges make decisions, or been curious about what really goes on in the “robing room”? Would you like to take a peak behind the curtain and see why cases are won or lost, or learn how new law is made? Do you find yourself longing to “grant” and “deny” the requests of those around you? Are you willing to take a massive pay cut to put off working at a law firm for a year? If you answered “Yes!” to any of these questions, a judicial clerkship might be just the job for you! How to Get a Federal Judicial Clerkship: Overview Understand the federal judicial clerkship application process, and learn why the job you want might already be gone! Is Clerking Really All It’s Cracked Up to Be? Explore the pros and cons of a judicial clerkship, before you throw your hat in the ring. Wondering Where to Apply? Consider These 4 Factors Deciding where to apply for clerkships can be extremely challenging. Streamline your decision making by considering four critical factors. What Does the Future Look Like For Rising 2L Judicial Clerkship Applicants? Fairuz Abdullah, Associate Director for Public Interest and Clerkship Programs at UC-Hastings School of Law, talks about 2L clerkship hiring after the demise of the Clerkship Hiring Plan. Podcast: How to Get a Judicial Clerkship Fairuz Abdullah shares tips on how to get a judicial clerkship in this rapidly-shifting application environment in this Law School Toolbox podcast episode. Things I Learned From My Judge If you work as a law clerk, you'll get some trial practice and explore some new areas of law. What you may not realize is that you might get some really great life advice along the way, from your judge. Make Your Clerkship Application Shine What will maximize your clerkship chances? Find out here. Résumé Optimize your clerkship résumé. Writing Sample Pick the most compelling clerkship writing sample. Letters of Recommendation Select your recommenders and get them on board. Cover Letter Write a convincing cover letter. Judicial Clerkship Interviews: The Basics What’s your game plan when the phone rings and a judge is on the line? What You Need to Know About Scheduling Clerkship Interviews The order of your clerkship interviews can be outcome determinative, particularly for federal clerkships. Improve your odds by scheduling interviews intelligently. What Actually Happens at a Clerkship Interview? Great, you’ve got an interview. Now what? Find out what you’re likely to be asked, and what one thing you can do to drastically increase your odds of a successful interview. You Didn't Get a Clerkship, Now What? I Didn’t Get a Clerkship, Now What? All is not lost, and you’ve still got options. Your Clerkship Plans Didn’t Work Out — What’s Next? 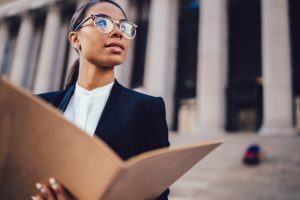 Fairuz Abdullah, Associate Director for Public Interest and Clerkship Programs at UC-Hastings School of Law, returns with advice on what to do if your first round of clerkship applications didn’t result in a job.